1912 30 - Oakland Owners Club International, Inc. The Oakland Motor Car Co. was founded in Pontiac, Michigan during the Summer of 1907, and its first vehicle was completed in time for the New York Automobile Show in January of 1908. By mid 1909 the Oakland Motor Car Company joined William Durants vast General Motors firm and plans were made to produce 3,000 cars during the subsequent season. Three models were available for 1912, with 30, 40, and 45 HP engines with leather faced cone clutches and battery/magneto ignition. Rear springs were now ¾ elliptic instead of full elliptic. The engine was mounted upon 3 points instead of 4. 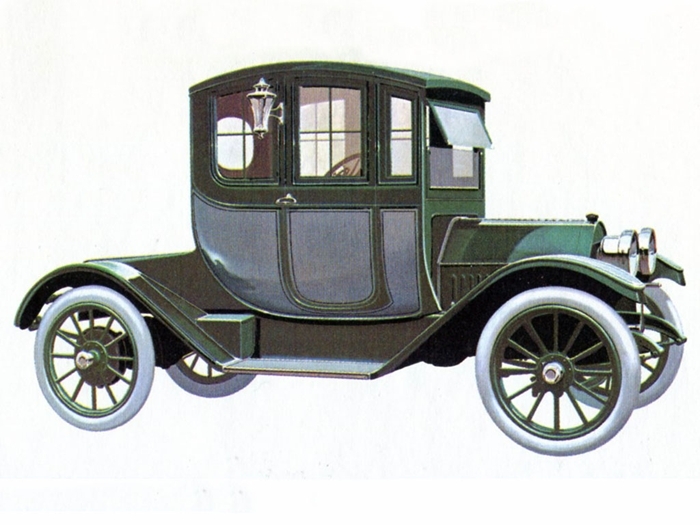 Production of 1912 cars was estimated at 5,000 to 6,000. In 1926 a low cost companion to the Oakland ,(named Pontiac), with smaller engine and shorter wheelbase was introduced to compete with other lower priced marques. It was an immediate success. The Oakland Motor Car Co. sold 171,153 cars in 1927 , but most of them were the cheaper and more popular Pontiac. By 1930 the less expensive Pontiac outsold the Oakland by eight to one. During those depression years the public was more concerned with economics and consequently the more reasonably priced Pontiac continued to leave Oakland purchases far behind. The Oakland was discontinued in 1931 and Pontiac Motor Company signs were erected over the factories. To date there are only 8 1912 Mod 40 Oaklands known to exist.